BLOBBOX is an ongoing project that explores human-machine interaction. The user can place their hands inside of a physical box to interact with a digital blob-shaped object. This blob can be moved around, deformed, torn apart and reconstructed while producing sound according to its current state. 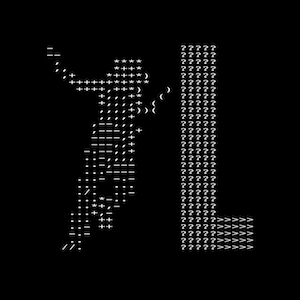 `•†• ́ is an interactive dance and live-coding piece that explores various levels of computer communication. The piece attempts to ‘blur’ the boundaries between human and digital communication by embedding one within the other; the human dancer becomes digitised while the live-coding triggers the sound composition, each component feeding off of each other to form a cohesive machine. 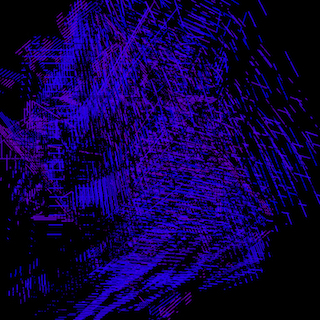 AQ=209 is an interactive audio-visual environment created in Max/MSP/Jitter based on an essay by Megan Miller. Taking Reza Negarestani's definition of puppetry in 'Cyclonopedia: complicity with anonymous materials', the project seeks to excavate references to string theory and pataphysics, illustrating the entanglment of fiction, theory, and science practice in Earthly narrations. 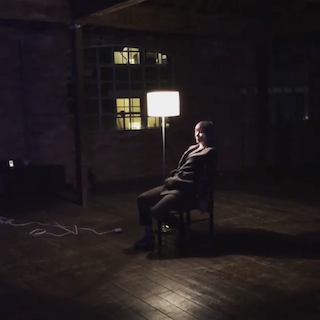 This is a live visual experiment for the British rock band Dorothy Vallens. The system reacts to the live performance thus creating a synesthetic experience. The psychedelic aesthetic reflects the band's musical style. Square_Dance is an interactive dance piece. 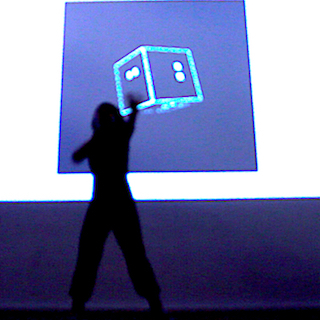 The dance movements are captured by a Microsoft Kinect and control a digital cube. Its surface is mapped out as a musical interface. The piece contrasts the traditional hierachy of dance following music and puts the dancer in charge of the composition. D A R K B L U E is an interactive music performance. 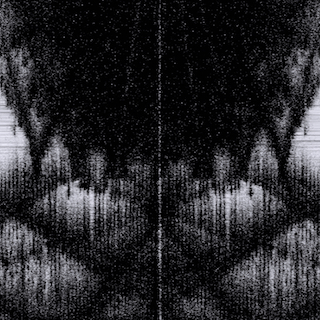 The structure and individual tracks of a pre-recorded composition are modified with hand movements that are captured with a Microsoft Kinect. The performer is not bound to a physical interface with sliders and knobs but has a more intimate control over the sound. Piano Modulation juxtaposes analogue and digital sounds. The source material – a recorded piano theme – is digitally modulated within a custom Max/MSP/Jitter patch. 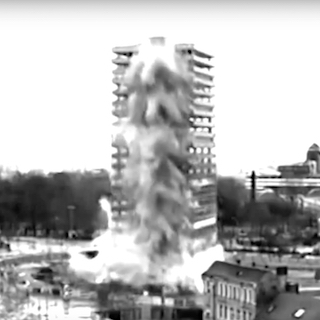 It explores a possible mode by which a simple sound recording deconstructs and re-arranges itself into a convoluted electronic soundscape. RAUTE8X8 is an audio-visual art installation that explores the movement of sound within a modelled space inspired by physical systems. It is generated live within Max/MSP/Jitter. 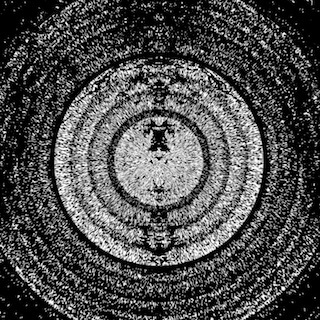 The composition takes György Ligeti’s concept of micropolyphony into a digital space where a combination of sine waves, noise and live processing create sound in the aesthetics of Noise and Glitch. 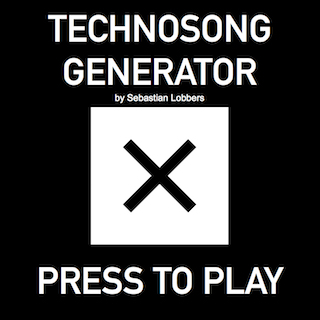 Technosonggenerator is a generative music system realised in Max/MSP. Based on a complex set of rules, the programme builds a song in the style of modern EDM music and explores the future of music making where composers might write down an algorithm rather than sheet music. 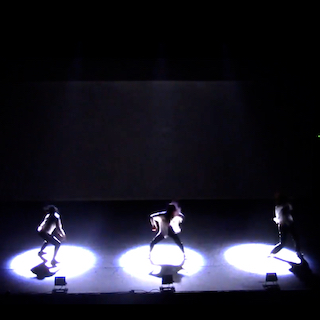 The Cold Red is a commissioned 30 minute composition for the dance performance Finding Ego by South Korean dancer and choreographer Yeonsoo Do. The piece consists of three parts that explore different styles of contemporary electronic music. 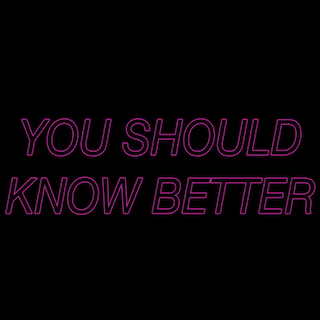 You should know better is a commissioned composition for a short film of the same name by Rory Cargrill. It was first screened in July, 2017 at the Curzon Cinema in New Cross, London. 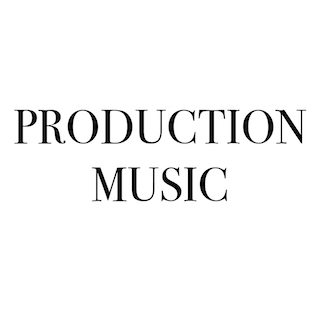 This is a portfolio of library music. It aims to be used in film, commercials or video games. This piece was composed for the dance performance It just sort of happens one day by Sarah Poekert. The composition entangles ambient field recordings of the City of London with a simple piano theme thus creating an myterious, ambient soundscape. 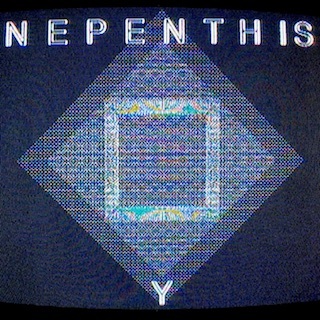 Nepenthis is my musical side project. 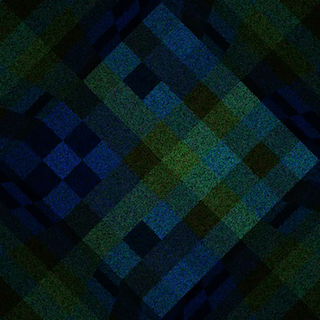 It takes a step back from Sonic Art and experiments with popular music. All albums have been entirely composed, played and produced by myself with the help of guest musicians and producers. In the process, I grew more accustomed to perceiving music production as a creative mean. The genres reach from metal, over shoegaze to experinemtal trip-hop. 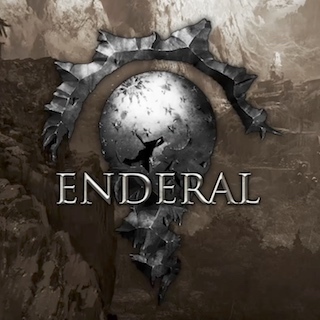 This is a piano composition for the award-winning game modifacation Enderal by SureAI. It was created to play within the mansion of an old man that is located in a forest within the game. The piece has been praised by players for significantlly enhaning the game atmosphere. For the Filmfest München members of the German metal bands Waldwind and Nebelkrähe formed the music project This Is Not Metal. Together they composed a piece to the silent short film Backwards by Susanne Steinmassl and performed it during a screening at the filmfest. Sebastian Löbbers is a sound artist with a background in classical and jazz piano performance. He attended the Dr. Hoch’s Conservatory in Frankfurt and later studied Music Technology and Electrical Engineering at the Technical University in Munich. He holds a BA in Music Technology from the University of West London and a MMus in Sonic Arts at Goldsmiths, University of London. He was the pianist and guitarist for Bavarian black metal band Waldwind, which toured through Europe and South America. 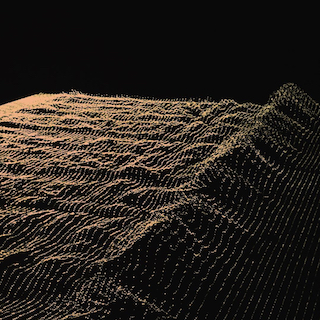 His current work explores music computing and audio-visual relationships with a focus on generative and interactive digital art. In September 2018 he started his PhD in Media and Art Technology at Queen Mary University in London. If you would like to know more about my work or have other general questions, please use this form to contact me. Thank you!